R&S offers repair service and new installations of all types of loading dock equipment. 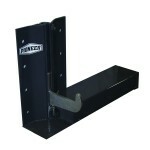 From levelers to accessories, R&S has the know how to keep your dock in tip-top shape! Contact R&S today to request a free, loading dock inspection.